KharéCom at the UN for NOVUS! 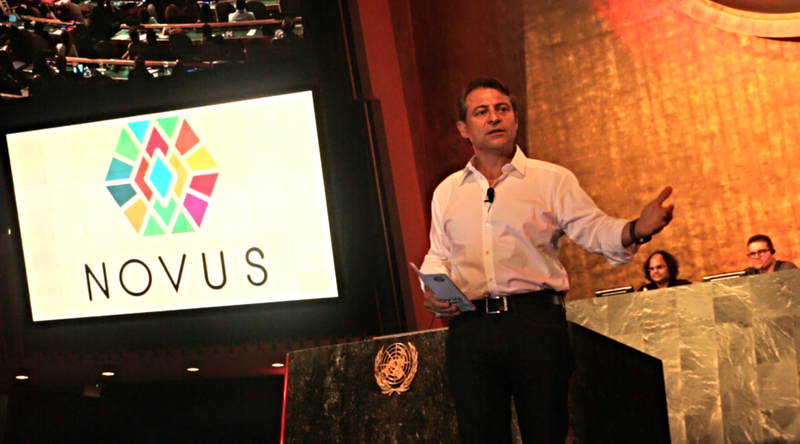 This past Sunday was the first annual Novus Summit at the United Nations General Assembly Hall! The event brought some of the world's most influential innovators, humanitarians and change-makers together in one room. The goal? To work towards achieving the 17 Sustainable Development Goals by combining technology with humanity. And Kharé Communications was there to document and cover the entire event! Our own Sharad Kharé was Media Director at the Summit, and the KharéCom team covered both the speakers on stage as well as private interviews backstage. Novus is truly one of a kind, acting as an inspiring platform to unite all generations for positive global change. A huge shout-out goes to Kunal Sood, Sony Mordechai, Eiso Vaandrager, Ryan Long, Natasha Tsakos, and the many other brilliant and generous people that made this all happen. It was truly an amazing day that will stand out in our memories for a long time to come. Check out the teaser video we made to garner excitement before the event, and stay tuned for our video interviews and event coverage coming soon for Novus! Check out www.novussummit.org to learn more about this exciting event, and if you missed it this year, next year will be even bigger and better!